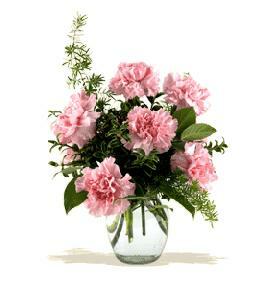 Clear glass vase will be used if this one is not available. 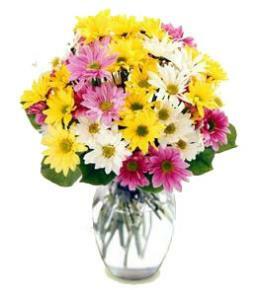 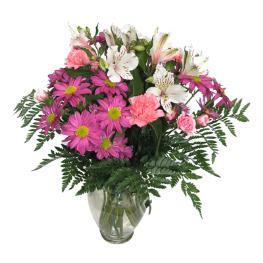 A bold mix of color your special recipient will never forget, this simply stunning fresh flower bouquet is ready to make that perfect impression. 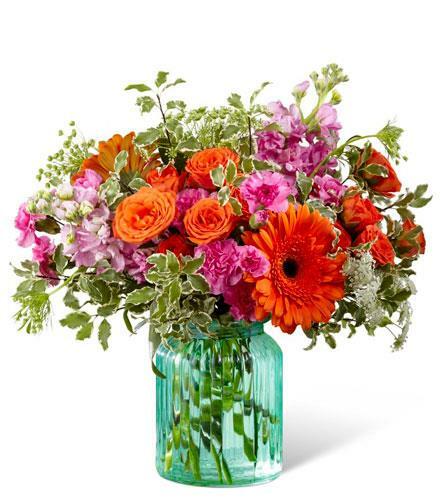 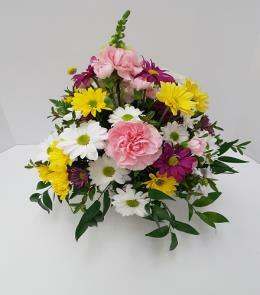 Bringing together brilliant orange gerbera daisies, orange spray roses, fragrant pink gilly flower, and lavender mini carnations, accented with fronds of Queen Anne's Lace and lush greens, this flower arrangement is a memory maker. 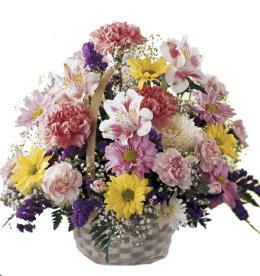 Presented in an aqua colored glass vase to give it a beachy, summertime feel, this flower bouquet is ready to create a wonderful thank you, thinking of you, or happy birthday gift. 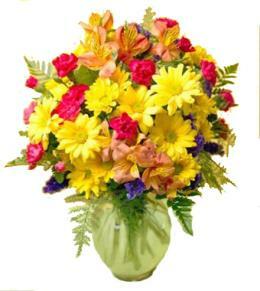 Aqua Escape Vase Bouquet.